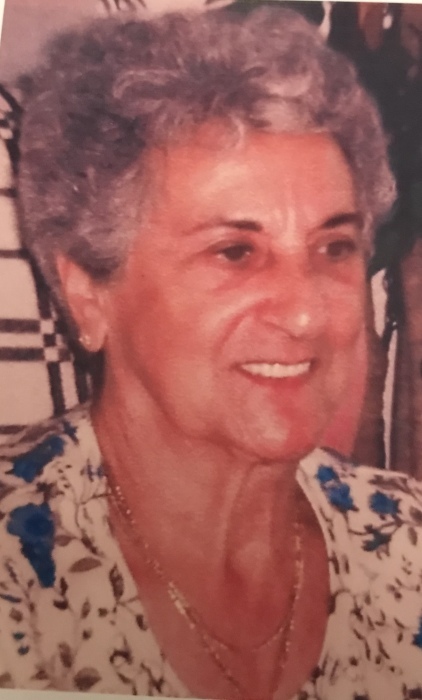 Josephine F. (Josie) Sandidge (nee Fertitta) age 92 passed away on April 8, 2019 after 4 years at Household of Angels Gambrills, Md. She was the Beloved wife and shared 47 years of marriage together with the late Jeff Sandidge who passed away in 1994. She was born in Baltimore, Maryland on September 7, 1926. Josie was the daughter of the late Anthony and Rose Fertitta (nee Cinquegrani) and is the Devoted mother of Thomas Sandidge and his wife Paula and the late Linda Thornton who passed away in 2012. She is survived by her brother Salvatore Fertitta and Sisters Frances Murphy and Concetta Fertitta. She was predeceased by her brothers Joseph, Frank, John, Tony and a sister Sadie. Cherished grandmother of Sean, Brian and Danielle Thornton and T.J. Sandidge, and great grandmother of Emily and Daniel Thornton, Rachael, Megan, and Kamron Thornton, Levi Seijuro, Ryleigh and Landen Sandidge. Also survived by many loving nieces, nephews and their families .